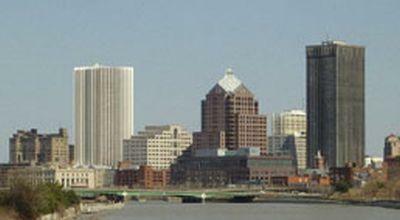 The Rochester area didn't do very well in terms of being a business friendly region, at least according to a new survey by the website Thumbtack.com. That website is an online service for matching up small service businesses and customers. We scored a letter grade of “D+” for being friendly to small business. This region ranked 84 out of 95 cities that were surveyed. Jon Lieber is the chief economist for Thumbtack. He says one of the issues the people responding to the survey had is the fact that they are so many regulations to comply with that are not consistent between the various communities that they operate out of. "They're moving in and out between jurisdictions a lot, so one of the challenges they face is that there's not an overlap between different cities in different counties in how they do their rules, so in some cases, you're a licensed plumber in one county but then you go to another county, you're not technically authorized to do work in that county." But Lieber says the Rochester area scored a better grade, a B-, when it comes to the availability of training and networking programs for small business. Texas, New Hampshire, Utah, Louisiana, and Colorado gave their states the highest rating for friendliness to small business. Small business owners gave California, Connecticut, Illinois, and Rhode Island an "F," while Massachusetts, Maryland, and New York earned a "D" grade. Providence, New Haven, Buffalo, Albuquerque, and Hartford were the survey's worst­-performing cities as rated by their small business owners.